When Do You Need to Make Updates? We recommend taking action as soon as possible since starting in early 2018 Facebook began enforcing domain verification: “In early Q1 2018, we will only allow verified domain owners to edit their link posts.” (source: Facebook). Configuration should take less than a few hours. Content is a product, and how you package your product is critical. The sooner you make these updates to take control of your packaging the better. On July 18th, 2017, Facebook discontinued the ability for most teams to modify their link content previews due to concerns around bad actors modifying the packaging of content that wasn’t theirs to modify. Imagine a bad actor modifying the Washington Post article that debunks the story that NASA was kidnapping children and sending them to Mars, instead writing “NASA Takes Kidnapped Children to Mars”. Unfortunately, some people believe this, sharing without reading. Bad News Bears. Yes, this is a silly example, but the underlying issue - unrestricted editing - can cause issues. Facebook understandably needed to take action. That said, social media teams regularly modify their Facebook link post image, headline, and description to something other than the default content defined in their Open Graph Tags (aka “OG” tags; learn more here. Facebook previously allowed teams to do this for years, since default text and images often aren’t optimized for Facebook. Headlines can be too long, not punchy enough for social, or need revisions, and images may simply be low quality or not the best performing option. Editing enables teams to improve post engagement by using better content packaging. This is why clients use Naytev to A/B Test Facebook and Instagram posts. 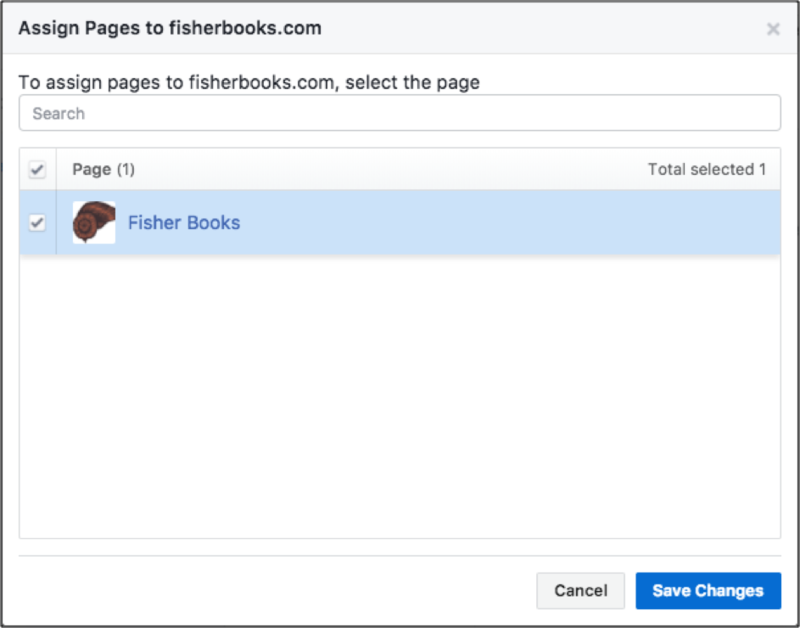 Facebook is providing a few ways to not only edit link previews again, but also allow you to claim content ownership so that only your team can modify your link post previews. Awesome! Facebook (and Naytev) recommend option 1 or 2; they’re easier to manage and more flexible. Below are Facebook’s exact recommended steps for implementing these two options. from the left side navigation list. If you have more than one domain listed, select the domain for which you desire to confirm ownership. Note: Facebook enables you to share your domain with a partner if needed – more on this at the end of this post. 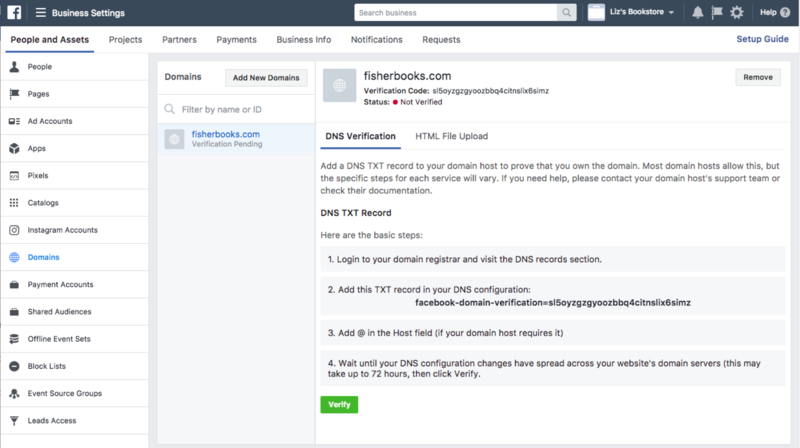 If you don’t want to use DNS Verification, then instead you can upload an HTML file to your web directory and confirm domain ownership in Business Manager. You’ll need admin access to your website’s root folder to use this HTML file option. 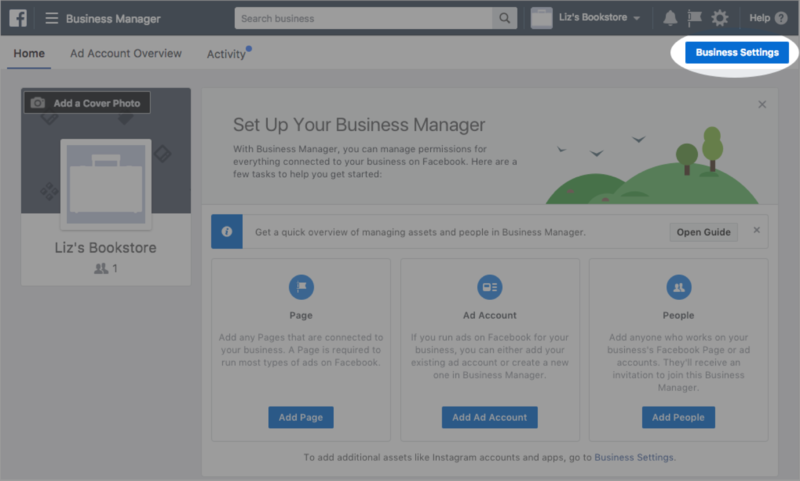 You should see any and all of the Pages you have added to Business Manager (if your Page is not available, make sure you have imported it into Business Manager under the Pages tab). Select all the Pages you wish to add to the domain, and click Save Changes. Hear from social expert Matt Navarra on unannounced Facebook changes for monetizing groups, what it takes to grow a vibrant digital community, and what digital communities might look like in the future. You’ll need to understand Campaign Budget Optimization well if you plan to run Facebook ads beyond September 2019. That’s when CBO becomes the de facto way to run Facebook ads. We share everything you need to know, from setup to advanced tactics. We take the guesswork out of planning your social media conference calendar. Our guide to the best upcoming social media conferences is based on personal experience attending hundreds of conferences, and is tailored for social media executives. In addition to Naytev's free social analytics, we also provide a free trial of our advanced social media management, including automated social scheduling and promotion. Naytev ensures your team doesn't have to worry about social network changes. Start a free trial here. 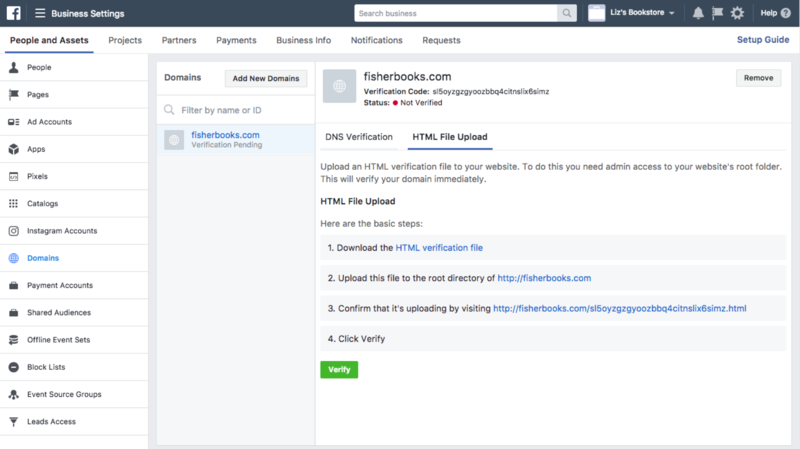 Implementing Domain Verification is an easy way to control editing privileges of your content, ensuring you can modify how your content appears while also preventing others from misusing it. 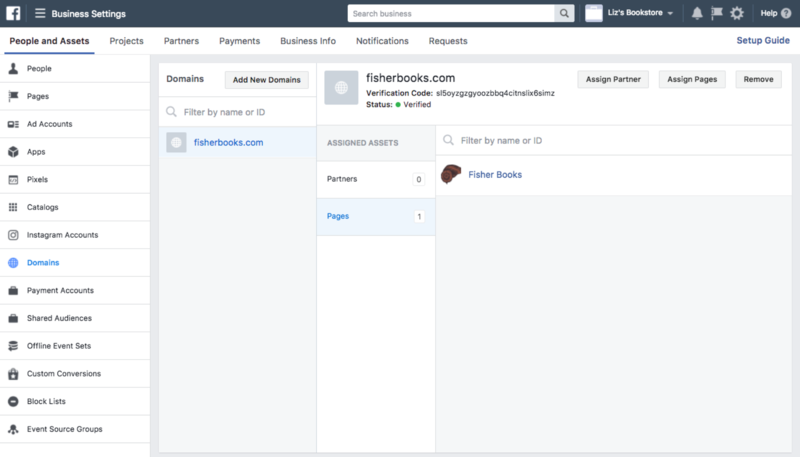 Facebook’s flexible options should help your team make these updates quickly and manage them easily going forward. Your content packaging is key and Facebook is putting packaging control solidly back in your hands. 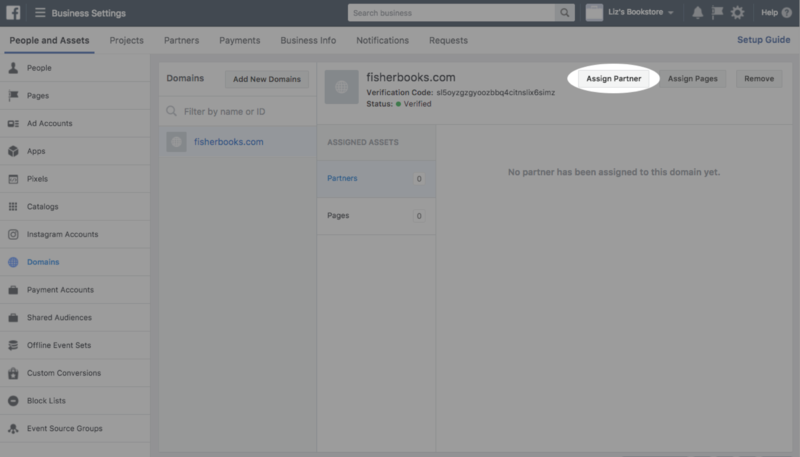 First, complete “Step 1: Verify Your Domain”, then Select the verified domain you wish to add a partner to, and click the Assign Partner button. 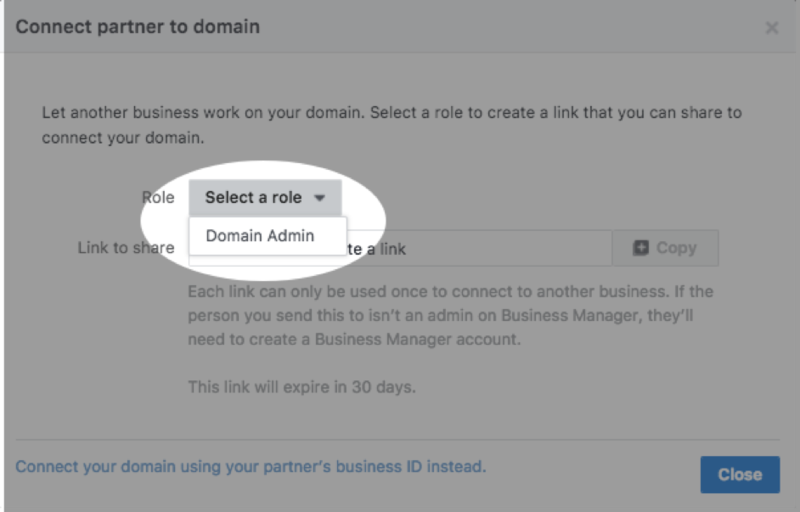 Select Domain Admin from the Role drop-down field. 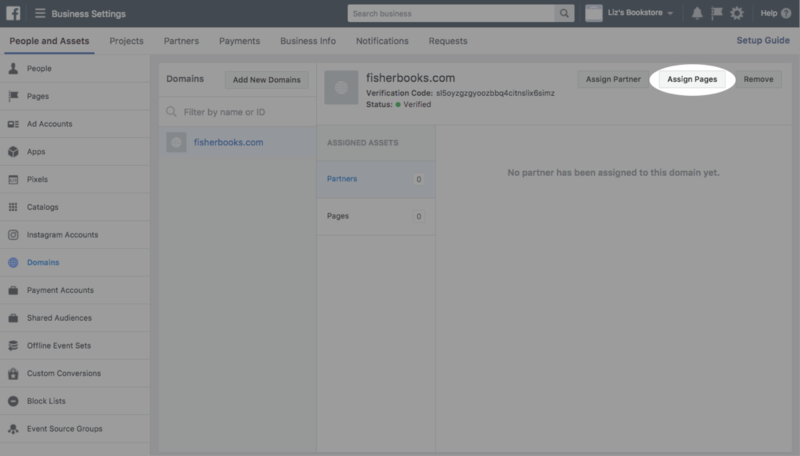 Enable sharing by either giving your partner a link or entering your partner’s Business Manager ID. Share the provided link with your Business Manager partner. Note: Each link can only be used once and will expire after 30 days if not used. 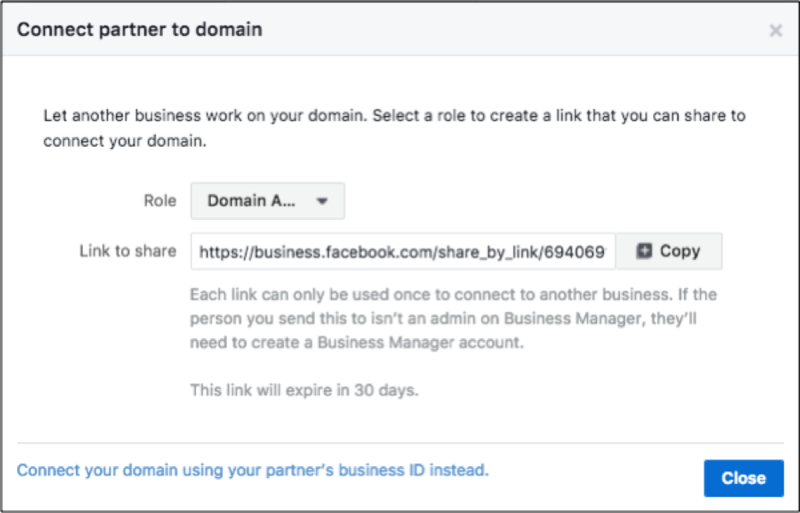 Your Business Manager partner will be able to complete the domain sharing by clicking on the link and assigning their Business Manager to the shared domain. 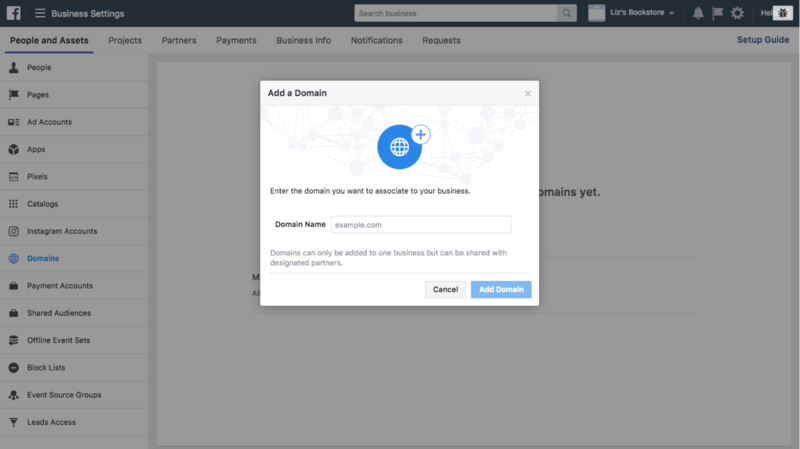 Connect your domain using your partner’s Business Manager ID. 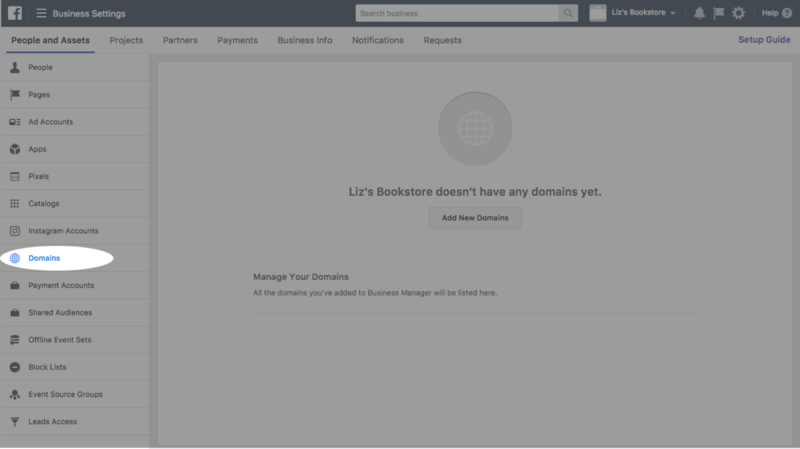 After clicking the Assign Partner button, click on the Connect your domain using your partner’s business ID instead link at the bottom of the pop-up dialog. Enter your partner’s ID, and click Connect to enable sharing.